New Delhi [India], Jan 30 (ANI): CBI on Wednesday moved an application in a Delhi court seeking consent for conducting polygraph test of accused Manoj Prasad and complainant Satish Sana Babu, in the high profile Rakesh Asthana case bribery case. New Delhi [India], Dec 18 (ANI): A Patiala House Court on Tuesday granted bail to Dubai based investment banker Manoj Prasad, allegedly a middleman in the CBI bribery case and accused of taking bribe on behalf of Special Director Rakesh Asthana. New Delhi [India], Dec 11 (ANI): Alleged middleman in Central Bureau of Investigation's (CBI) bribery case, Manoj Prasad on Tuesday refuted all claims made by Satish Sana in his complaint and asserted that he has `never-ever' met CBI Special Director Rakesh Asthana. New Delhi [India], Nov 13 (ANI): Delhi's Patiala House Court on Tuesday extended the judicial custody of middleman Manoj Prasad who was arrested in connection with the bribery allegations against CBI's special director Rakesh Asthana. New Delhi [India], Nov 13 (ANI): The Delhi High Court on Tuesday dismissed a bail plea filed by alleged middleman Manoj Prasad who was arrested in the bribery case against Rakesh Asthana, the special director of Central Bureau of Investigation (CBI). New Delhi [India], Nov 3 (ANI): Delhi's Patiala House Court on Saturday reserved its order on a bail plea filed by alleged middleman Manoj Prasad who was arrested in the bribery case against Central Bureau of Investigation (CBI) Special Director Rakesh Asthana. New Delhi [India], Oct 25 (ANI): A Delhi Court on Thursday extended the Central Bureau of Investigation (CBI) custody of Dubai-based investment banker and middleman Manoj Prasad by five days. Patna (Bihar) [India], Aug 17 (ANI): Rashtriya Janata Dal (RJD) president Lalu Prasad and his son Tejashwi Yadav on Friday condoled the demise of former Prime Minister Atal Bihari Vajpayee. New Delhi [India], Apr 3 (ANI): Bharatiya Janata Party (BJP) leader and Union Minister Ravi Shankar Prasad took oath as a Rajya Sabha member on Tuesday. Patna (Bihar) [India] February 27 (ANI): Bihar Chief Minister Nitish Kumar will not be celebrating Holi, due on March 2, in the wake of the death of nine children and Janata Dal (United) leader Manibhushan Nishad in Muzaffarpur hit and run case. 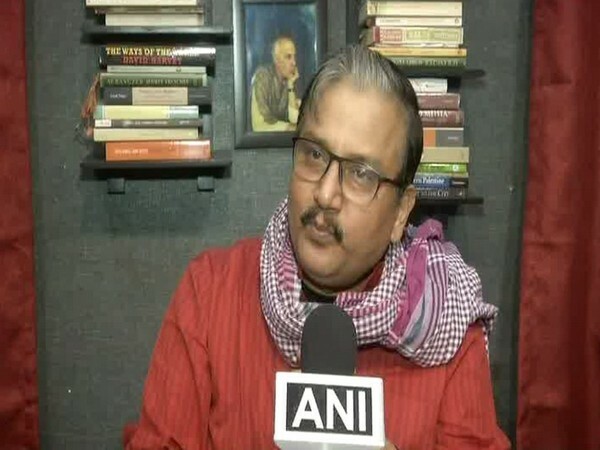 New Delhi (Jharkhand) [India] Jan. 03 (ANI): Rashtriya Janata Dal (RJD) spokesperson Manoj Jha on Wendesday denied committing contempt of court.